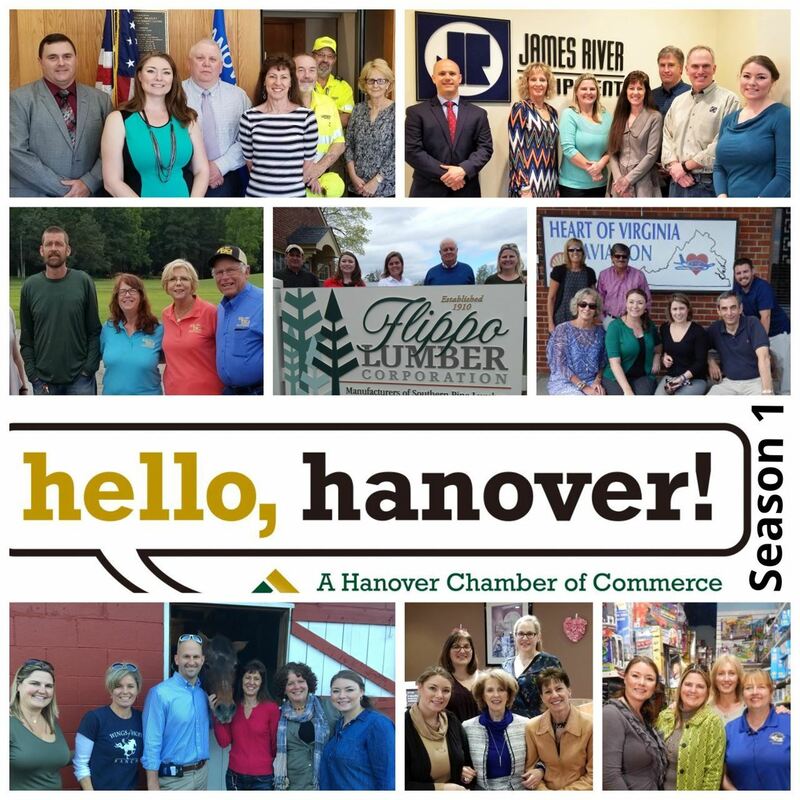 Hanover Chamber of Commerce - Vlog: "hello, hanover!" There are so many awesome, unique businesses and organizations in Hanover County, VA. We want to share their story! Always striving to build community and forward positive business growth through dynamic programming, info-sharing and network-building, we see "Hello, Hanover!" as another part of this effort. The intent of this new, "Hello, Hanover!" video blog is to go places you wouldn’t normally visit and see “behind the scenes”. So, take a 5-minute field trip and join us as we rediscover places and people that make Hanover special. In the early morning calm, amidst the bird chirps and water ripples, you can almost feel the earth waking up. The trees stand tall in the reassuring way they have for decades and the grass appears to be breathing as the breeze rustles by. The chickens, ducks and goats peck and saunter. It’s serene. It’s beautiful. It’s natural. And then the campers awake. Hello day! Out of their beds, they rush over to the Lodge for breakfast, gathering and (loud) songs. There’s a full day ahead – a day of exploring, learning, hammocks, teamwork, fellowship and likely a visit to the mud pit. Camp Hanover’s 600-acre retreat center in Hanover’s Old Church area welcomes thousands of participants annually for overnight camps, day camps, company retreats and special events. The camp mission is to provide a place apart for renewal and growth in an environment of Christian hospitality and they do it well. “We believe that if we give kids and teens an opportunity to practice caring for each other here, they will be better equipped to keep doing so out in the real world,” says Doug Walters, Camp Executive Director. For this reason, camper groups must agree on daily free-time activities, have choices on when they do certain activities, learn and see where our food comes from and how we participate in that cycle, take turns cleaning up after meals and participate in service projects. This camp is a unique place. 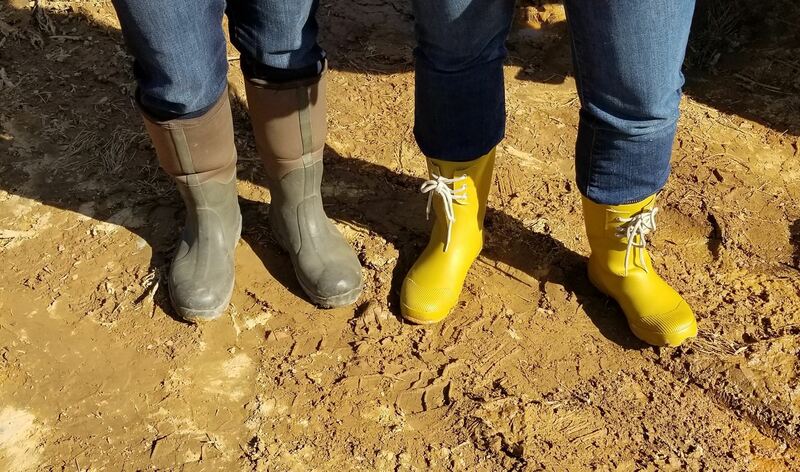 On our visit, we also learned about maintaining a most awesome mud slide, caring for goats who get caught in fences and that teens really can forget about their cell phones. Come, take a peek into camp life with us – we’re sure just watching this quick video will refresh your spirit as it did ours. Thanks to Camp Hanover for an amazing tour! Winemaking is a labor of love, mostly. Seeds, growth, staking, bird protection, tending, sun-shading leaves, early picking, horticultural understanding, more tending… It takes at least 3 years for a vine planting to become ripe enough for a wine harvest. But the wait is worth it! On this “Hello, Hanover” visit, we see how grapes on the vine become wine in the glass. James River Cellars Winery plants, harvests, bottles and sells their wine locally here in Hanover County VA.
Ray Lazarchic entered the wine business by creating his own vineyard of twenty acres on his farm in Montpelier, Virginia. Ray figured that making his Gewürztraminer wine would be better than finding the perfect one. The Winery, which opened to the public in 2001, began as a hobby rather than a project and eventually led into the creation of a stellar winery now called The James River Cellars Winery. The winery is now owned and operated by Ray’s daughter, Mitzi Batterson, and her husband James. Both Dr. Batterson, Winery Owner, and Alexander Morgan, General Manager, shared the social and conversational nature of wine with us. Grapes are harvested by hand (many are volunteers) then nurtured into wine and aged in the cellar – while, just a floor above, JRCW’s tasting room is full of friends and neighbors sipping joyfully and catching up on life. There’s a tangible element of renewal that comes both from the harvest and the enjoyment of the grape. The entire harvest to bottling process requires patience, tidiness, and understanding. Harvesting, processing and bottling wine requires 6,000 hours of labor per year. Depending on the variety, grapes from a vineyard should be processed no longer than five to seven days after being fully harvested. JRCW produces approximately 13,500 gallons of wine each year from twelve different grape varieties. One bottle of wine is equivalent to 2-3 pounds of grapes and JRCW produces 5,500 to 6,000 cases of wine each year. Join us on a journey from plant to bottle! Thanks to James River Cellars Winery for this great behind the scenes tour. Let’s harvest! Our first season of "hello, hanover!" is complete...but there's still some fun to be seen! Check out some footage that didn't make it into the 'official' videos in our bloopers and deleted scenes reel. Keep in mind that the footage is a bit raw in comparison to the finalized videos. And, if you missed any Season 1 episodes, you can binge watch them all on our YouTube Channel. (It'll only take about 45min.) Thanks to all our participants, hosts and viewers for making this vlog so special. Between YouTube views and Facebook views, these videos have been "seen" over 3300 times and counting! THANK YOU! Watch the Season 1 Bloopers & Deleted Scenes Video! Looking forward to Season 2, starting in October. Hanover County residents and businesses enjoy a low crime rate – much due to the dedicated daily effort of our Hanover County Sheriff’s Office (HSCO). The 271 women and men who work in the agency are committed to public service and safety. They patrol our streets, protect our citizens and pursue the offenders. Plus, they’re good-natured and even fun-loving. For our “Hello, Hanover!” Season 1 Finale, we’re checking out the HCSO Training Academy. The fitness drills, the classroom time, the driving practice, the firing range and more. Recruits spend 26 weeks at the Academy before spending another 3 months doing field training. It’s nearly a year before a new hire will be on a shift with their fellow deputies. The spirit of comradery developed through the academy follows their careers with HCSO as the department is intentional about teamwork inside and outside the office. Colonel David R. Hines, Sheriff, knows that the best ways to defeat crime begin with visibility and community. Their programs, such as the Business Watch, Worship Watch, S.H.I.E.L.D, and Citizens Police Academies, all invite citizens across our County to participate in building a safe environment. As you watch this video, we hope you are encouraged by and thankful for the work of the HSCO. Though our county is not absent of crime, Hanover is a great and safe place to live and work because of these deputy’s commitment to us. Join our Chamber Director and Administrator, Melissa Miller and Marianne Powell, the new recruits, the Sheriff, and the whole HCSO team for a unique, up-close view of the training program. We hope you have just as much fun watching it as we did recording it. To the academy! If you’re one who loves a beautiful lawn, this vlog visit is certainly for you. Over the past 50 years, Louis and Ginger Brooking have developed 300 acres of thriving sod. Brookmeade Sod Farm’s 3 farmsteads (all in Hanover, Virginia) specialize in growing Turf Type Tall Fescue, Bermuda and Zoysia varieties. Sod is harvested to order, ensuring its color, health and viability when replanted. Fifty years sees many changes, including the process of harvesting itself. When the farm was new, Louis pushed a hand-harvester and Ginger followed to roll and stack. (Whew.) Today, the Brookmeade crews gather early in the morning to harvest and stack pallets with a mechanical sod-harvester for pickup at their farm or delivery and install the same afternoon. It takes a minimum of 9 months from seeding to harvesting – depending on the sod variety, weather and client need. Fescue is harvested year-round, whereas the warm season grasses, Zoysia and Bermuda are only harvested when in season. Louis feeds the grass only what it needs and clearly knows how to farm it well; Brookmeade has been a trailblazer in the sod industry for many years. Naturally, the sod farm is a wonderful place to visit as the views of acres of the greenest grass surrounds you in every direction. 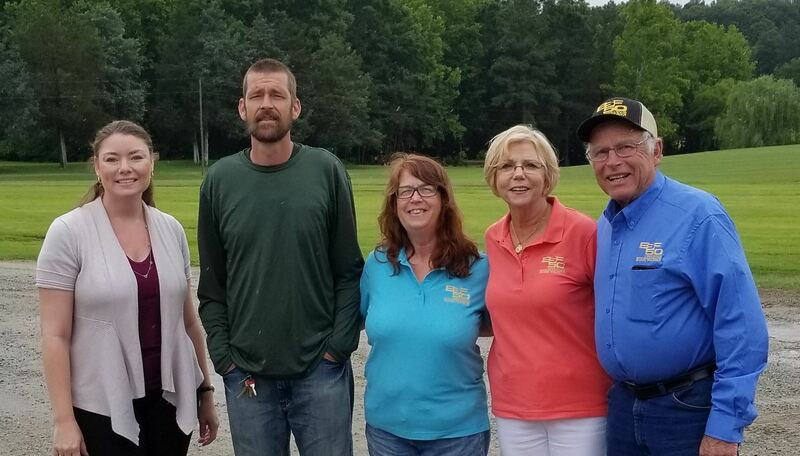 Join our Chamber Director, Melissa Miller, and the whole Brookmeade crew on a trip to the farm and see what sod is all about. Thanks to Brookmeade Sod Farm, Inc for taking us behind the tractor. Let’s continue the lumber story, began in the previous episode, by touring a sawmill. The Flippo Lumber Corporation is a landmark in Doswell, VA and has operated since 1910. It’s a family business now run by third and fourth generation family members – Nelson, Carter and Beth. Harvested trees arrive by the truckload to be transformed from logs into boards, planks and beams. The mill appears remarkably calm when walking up to the saw buildings…but then you step inside. Suddenly, the noise and activity level jumps as – quickly – logs ride by, saws do their jobs, belts carry planks and staff monitor stations. This vlog is raw, pun partially intended. It uses genuine mill sounds and up-close manufacturing footage. The Flippo’s understand how to get the very most out of each log – nothing is wasted. The mill itself is built on the second floor to allow gravity to capture dust and chips for use in the drying kiln, mulching and more. They are intentional in finding sellers for “scrap” pieces not big enough for regular use. Further, they participate in the reforestation of logging sites and care for tree growth throughout Virginia. Though Carter joked, “You have to sneak up on the mill or it won’t be running” our Chamber group – Chris Haley, Ben Meredith, Melissa Miller, Amanda Porch and Alfred Price – experienced the full mill in working, impressive order. Thanks to Flippo Lumber for shaking up our day with a visit through your sawmill. To the mill! Grab your hard hat, safety glasses, some good boots and let’s get on the road! This visit with James River Equipment focuses on their Forestry division and looks at logging machines, service, parts and the process on-site. Trees are a crop and a good logger knows how and when to harvest. It’s a long-term kind of business – the machines are an investment and, once cut and fertilized, a site will not be visited again for many years. The first visit, around year 7, provides a select cut for things like pulp wood (i.e. tissues, paper, fuel). Another visit around years 10-15 allow for a few more specialty cuts. Then, finally in years 20-25, another full harvest produces tree-length logs that are sent to sawmills. Since this work certainly requires the right tools, our video also highlights the incredible work done at JRE’s home base in Hanover. A facility tour reveals more big machines, lots of John Deere green, their replacement pieces, torches and lifts wielded by technicians. On the lighter side, because this heavy vlog visit needs a little fun, we have a coffee break with JRE leaders and the ladies test out the logging trucks. Join our chamber group – Nancy Coggin, Melissa Miller, Amanda Porch, Marianne Powell and Justin Williams – as we branch out into a new (to us) industry. Thanks again to James River Equipment for showing us what it looks like behind the green. Let’s go! Catch up on all our vlogs at our YouTube Channel. Ruby, Jade, Citrine, Amethyst, Pearl, Diamond, Silver and Gold – it’s amazing what beauty lays within our earth! Further, it’s magical to see how raw materials become priceless adornments. Our visit to Tompkins Jewelers in Ashland highlights the wide range of expert knowledge and stunning results that come from decades of experience in handcrafting jewelry. Sure, the display cases of lovely pieces twinkle and catch you eye…but it’s what goes on behind-the-scenes that really blows your mind. In this video, you’ll see how metal gets heated to 1400-1500° while resizing a ring, how pearls are hand-strung on silk and nylon, an array of specialty tools, a smorgasbord of gemstones and even more exquisite sparklies. Shelia Tompkins - second generation shop owner, jeweler and certified gemologist – has a passion for matching jewelry with its owner’s taste, wishes and lifestyle. Every piece of jewelry she or jeweler-on-staff Amy M. Shady create, repair or clean is done to the highest standard. Attention to detail is everything when an item is no bigger than a coin, and the projects in their work box display everything from watches to rings to broaches and more. We hope you enjoy watching the video as much as our Hanover Chamber visitors, Marianne Powell and Melissa Miller, enjoyed creating it. Thanks again to Sheila Tompkins and the Tompkins Jewelers staff for giving us this tour. Let’s sparkle! Episode 4: Sharing the Scoop, a Request & Spoilers for "Hello, Hanover!" Are you still unsure what "Hello, Hanover!" is all about? Then this vlog post is for you! In under 2min, this post shares the skinny on the series' purpose, frequency and visibility. Are you wondering where the Chamber crew will go next? Then this vlog post is for you! We want to know what area businesses/organizations need a "behind-the-scenes" tour. Lastly, do you like to be in the know early? Then this vlog post is also for you - be aware that it *might* contain a few spoilers for 2018. While you're there, be sure to catch up on the previous episodes! Simply walking into the color-bursting and toy-filled store ignites your inner child! The shelves are packed with games and activities of all kinds you just want to pick up and test out. Which we did, naturally. We raced push toys, talked about rubber chickens flying across kitchens, smushed clay, pulled train whistles and hugged stuffed animals. Shop Owner, Suzanne Hemingway, is passionate about finding ways for all ages and all skill levels to enjoy play. She’s encouraged that hobbies like model railroading can be a link to inclusiveness of children and adults across the autism spectrum and other mental challenges. The toys, science projects, games and train building found throughout her store speak to this inclusiveness and remind us that learning happens in so many ways. Tiny Tim’s inspires “unplugged” time away from screens. Model railroaders will find a train selection that is out of this world; and their Trainmaster, Russell Youens, can help answer questions from beginners to pros. Families and kids looking for better, hands-on activities need look no further than this shop. Puzzles, models, memory builders, train sets and even “silly fun” bring generations of players together – even at the store. As the holidays are upon us, our Hanover Chamber visitors (Michelle Herbert, Melissa Miller, Amanda Porch, Marianne Powell), encourages you to consider buying local this year. And we hope you enjoy watching the video as much as we enjoyed creating it. Thanks again to Tiny Tim’s Trains & Toys for giving us a tour. All aboard! Subscribe to our email list to see future posts.